David Lindblom’s interest in environmental science and alternative energy stem from growing up in Los Alamos. Several years ago he volunteered to be the welder on a project to build an electric motorcycle in a night school class at UNM-LA where he learned of groundbreaking technologies for energy storage, and where the idea he now brings to the Solutions Lab originated. He is a professional filmmaker and cameraman, and worked with Martin Scorsese on “A Personal Journey With Martin Scorsese Through American Movies,” which David cut with legendary editor Thelma Schoonmaker. David teaches film and TV at Northern and is Creative Director of Canal Seis, Northern’s TV station. 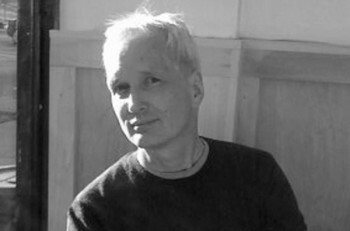 He has also taught at New York University and the College of Santa Fe. David works in Northern’s Office of Institutional Advancement which builds the school’s capacity to serve the Valley and develops innovative partnerships and projects in Northern New Mexico. Northern New Mexico College is a Hispanic- and Native American-serving comprehensive institution that will be recognized nationally for cultural sustainability, quality student learning and developing economically strong communities among diverse populations. The mission of Northern New Mexico College is to ensure student success by providing access to affordable, community-based learning opportunities that meet the educational, cultural, and economic needs of the region.